Disclosure: I received an electronic copy of Lori’s latest cookbook to review and loved it! I was not compensated to write this review, and as always all opinions expressed are my own! 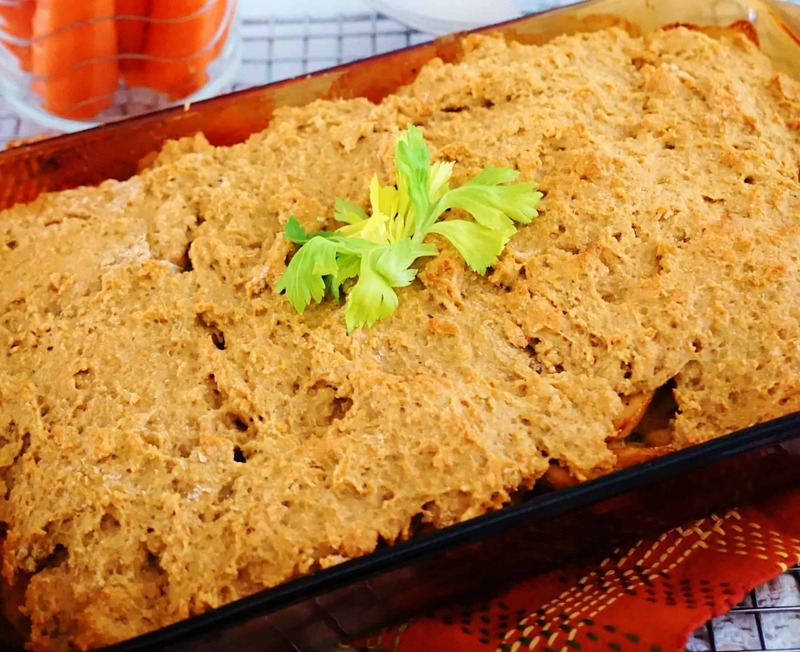 Ever wondered what to do with that leftover turkey? 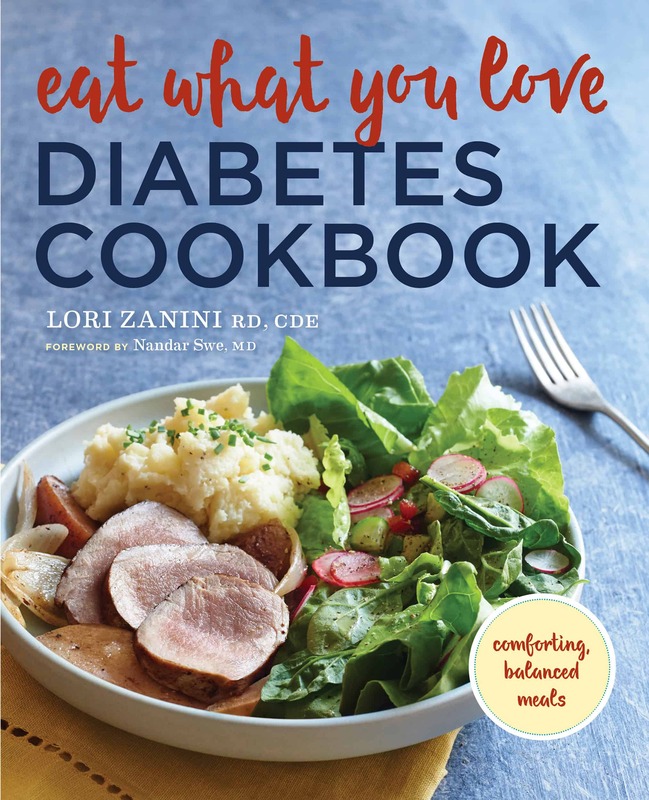 Today I’m sharing with you a recipe inspired by my fabulous colleague, Lori Zanini, who just published the cookbook, “Eat What You Love- Diabetes Cookbook“. Let me tell you my friends, if you’re thinking “what the heck Liz”, I’m struggling with infertility, not diabetes, then rest assured this recipe (as well as Lori’s other 70+ recipes) is still for you! And, if you’re just a loyal follower and neither infertile or diabetic, then phew, it’s TOTALLY for you too! Just how can recipes be so versatile? Truly, the magic in this lies when you pair fiber filled whole grains with nutrient rich vegetables, both staples of a well rounded diet that aid in keeping those blood sugars in check. 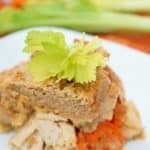 For instance, this Healthy Turkey Pot Pie is a mixture of lean chicken mixed into delicious and nutritious vegetables, all nestled under a whole grain crust. Honestly, what a power packed combo! 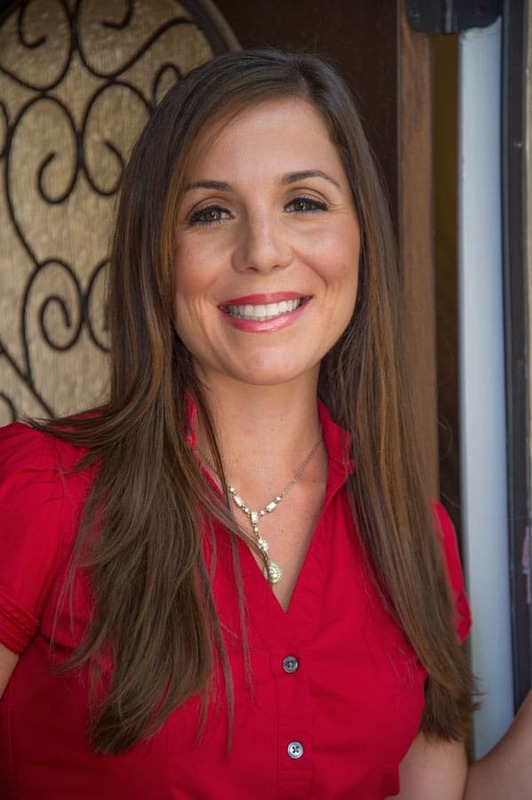 Plus, in Lori’s cookbook, not only will you find a plethora of recipes that make this connection of balanced nutrition, but you’ll also find quality medical nutrition advice written by a registered dietitian nutritionist! It’s like having your own personal RDN chef instructing you in your own kitchen! Perfection, I know. If you’re interested in taking her cookbook for a test drive, then I highly recommend you try out the recipe below! 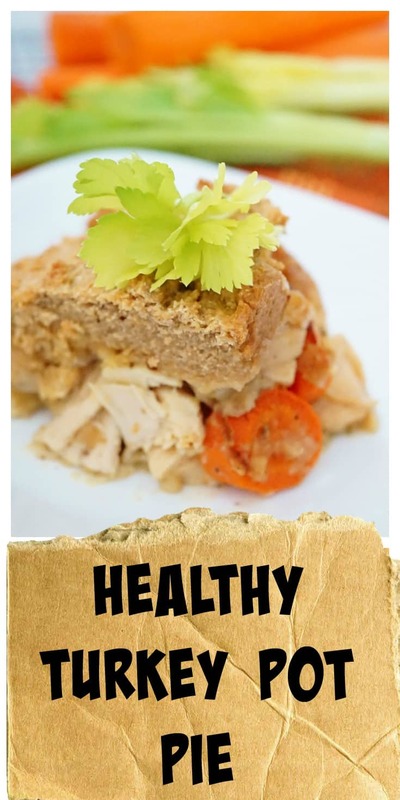 I mean come on: Healthy Turkey Pot Pie, it just sounds delicious! It’s got a few slight tweaks based on my leftovers on hand but I assure you, if you like this, you’ll be blown away by the others in her cookbook! 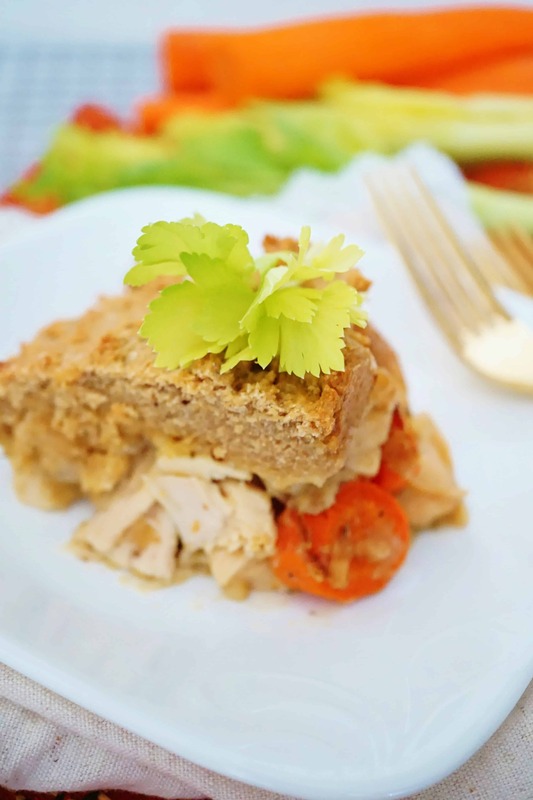 Healthy Turkey Pot Pie is the perfect excuse to whip up a turkey! Seriously, the leftovers make the perfect addition to add some variety to the winter comfort food staple! In a large skillet, heat oil over medium-high heat. Add the carrot, celery and onion. Cook for about 3 to 4 minutes, or until soft. Add in the garlic and stir. Place the turkey into the skillet and add in the flour. Stir until combined. Add in the whole milk, peas, green beans, salt and pepper. Stir until thickened, about 2 to 3 minutes. Transfer the mixture to a 9 x 13-inch pan coated with cooking spray (or a 9-inch pie pan). Preheat oven now to 350*F.
In a medium mixing bowl, combine flour and salt. Stir in the melted plant based butter (or oil). In a small measuring cup, add water and ice cubes. Add in 2 tablespoons of water into the flour mixture, continuing to add 1 tablespoon at a time until the dough comes together and is uniform. Shape the dough into a ball and press into a flat circle. Place the circle between two sheets of lightly floured wax paper. Roll the dough into a large rectangle (or circle for the pie pan). Transfer dough to cover your filling and trim away any overhanging edges. You can save these to bake if you desire. Cut a few small slits in the top of the dough to allow the steam to escape. Bake until crust is lightly golden, about 30 minutes. Tell me, what do you do with your leftover turkey?